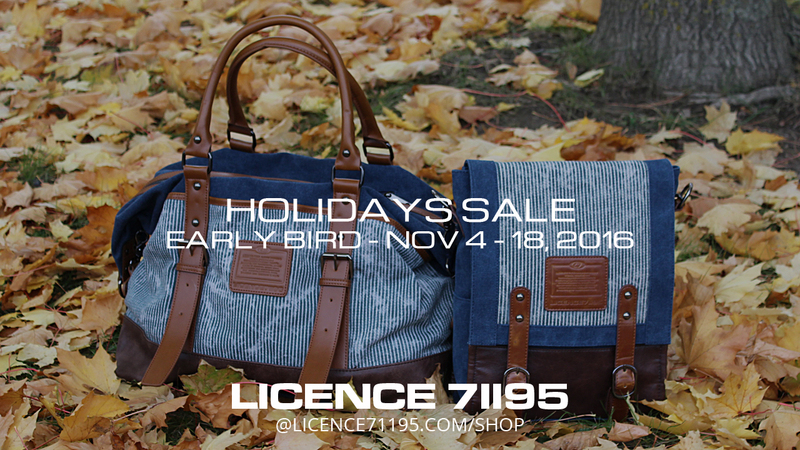 LICENCE 71195 Holidays Sale – Early Bird starts from November 4, 2016. Shop now while many hot items are just back in stock and still available! LICENCE 71195 College PiqueC SS Shoulder Bag, small but simply great! LICENCE 71195 ® designs express a simple sophisticated lifestyle. They appeal to the fashion-conscious men and women with unspoken desire for style and quality. High functionality, unique choice of material and finishing, smart color combination and uncompromised workmanship are featured in all LICENCE 71195 ® products. Designed in Canada, LICENCE 71195 ® products are distributed in USA and Canada.